Enjoy high quality music playback experience with a unique equalizer, bass boosting, for mp3, mp4, 3gp, acc, flac, mid, ogg, and etc with this “AnyPlayer” music player. Any player is designed for both simple and advanced users. It has simple interface with rich graphics which enables the user for smooth navigation through the music player. Enjoy high-quality mobile music playback experience. NOTE: Product is for ANDROID 3.0+ devices. * Adjust the effect as you want – 5 bands Equalizer, Bass boost and volume knob. 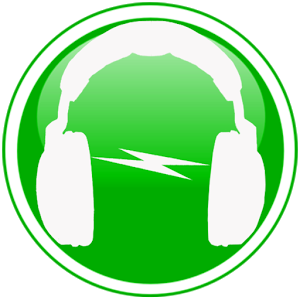 * Music Player Supports for playback of the most common music format such as mp3, mp4, 3gp, aac, flac, mid, ogg, etc. * Music Player is available on 8 famous languages, ENGLISH, SPANISH, FRENCH, GERMAN, ITALIAN, RUSSIAN, CHINESE, and JAPANESE. * Music Player gives you a choice of 3 different home screen WIDGETS (4×1, 2×2, 4×4) with album art work, controllers and easy access to the player. * NOTIFICATION STATUS with album art work and controllers. *Automatically SLEEP PLAYER after some time with music fades out effect. * HEADSET support with headset buttons and with bass boosting. * Music Player SEARCH your favorite song based on title, album and artist. * SWIPE gestures on home page (swipe left right- swipe album art to play next/ previous, swipe up /pause) and playlist. * Create/Edit/Delete/Rename your favorite playlists. * Mange song Queue as you want and save it as playlist. * Share your favorite songs with your friends with Bluetooth and other Medias. * If the device is equipped with Bluetooth, don’t hesitate to enjoy Bluetooth streaming. *Equalizer / bass boost settings will automatically save your preferences for the next time.